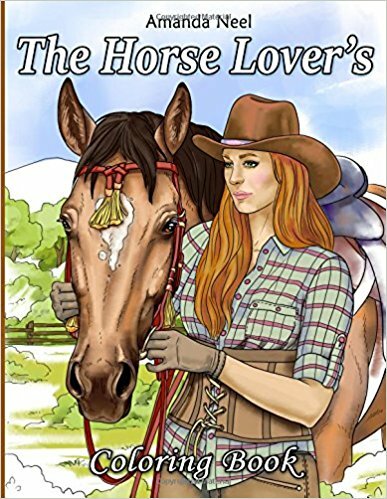 I was looking for coloring books for my Christmas gifts this year and ran across this lovely book of designs for the horse lover. This book reminded me of my older sister who was always horse crazy as a child (and who has recently begun to color as well.) The beautifully drawn designs in the book brought those memories back and are lovely and fun to color besides. I think the title is apt – it is a great book for any who loves the beauty and majesty of horses. The designs show horses. Sometimes one, sometimes more than one. Some of the designs also include people. I found that there was a nice mix of both horizontal and vertical designs as well. The designs are detailed with backgrounds but not to the point of being intricate or hard to color. 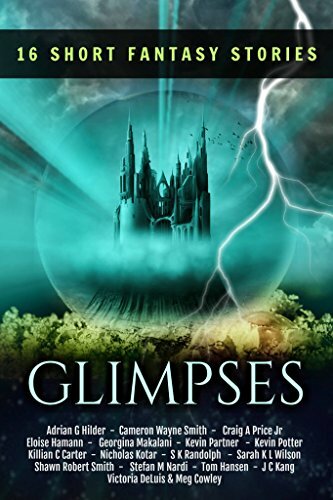 This is the second book I have read by Jennifer Joyce. She has a wonderful imagination for situations and a real knack for dialog. I enjoy reading her books and the characters are life-like even when they are put in impossible situations (such as in this book.) It’s best to put aside reality and just enjoy the flow of the story. Joyce and Calvin Neil are a couple with two children. Like most couples, they have begun to take one another’s efforts for granted. Each of them are so involved in their own daily grind and situations, that they don’t see what the other has to contend with. Things come to a head just as the book starts. 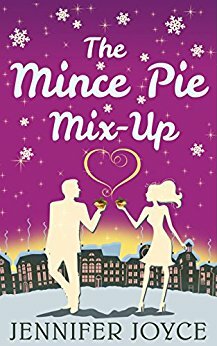 When Calvin doesn’t take Judy’s mince pies out of the oven in time (and they burn slightly), it is the start of a story which involves a Freaky Friday element. I found all sorts of elements which symbolize the holiday season for me. From Santa (a must have!) 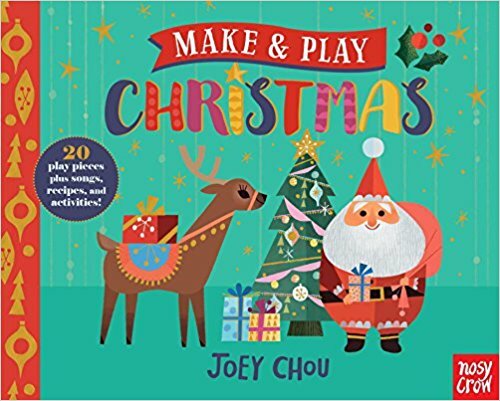 to Christmas trees to snowflakes (which can also be used through the winter) to to stockings and wreathes and reindeer, this book has much to offer. The designs contain detailed elements (especially the full page scenes with full backgrounds); however, I don’t consider this book to have intricate or difficult to color images. I really like the top spiral binding along with the perforated pages. It does away with coloring over the “hump” of the binding. I’ve been told that this is a major issue for left-handed colorists, so this is a great Christmas book for anyone troubled by this issue. I’ve been a fan of Kristan Higgins for many years. I’ve enjoyed her various books, both stand-alone novels and series. Those books were primarily romances but they always made me laugh and made the characters come alive to me so that I rejoiced as their tales ended happily. 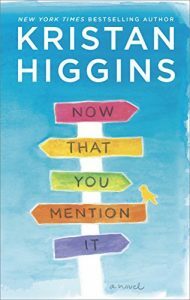 In recent years, Ms. Higgins has moved away from romantic comedies and have ventured into the land of fictional literature. Her stories have taken on a depth that was lacking in her earlier, shorter novels. “Now That You Mention It” is just such a novel. From it’s opening line “The first thought I had after I died was: How will my dog cope with this?”, it grabbed my attention and I found myself reading it in segments and then, at odd times of the day when I was alone, I would think through what I had read and than apply it to my own life. I shared a lot of similar past events with Nora Stuart, the main character of the story. From abandonment issues, to being the smart but not well loved teenager, relationship issues and much more, I could relate to this character. As she progressed through her issues, I did as well. I was even in the hospital recovering from literally the point of death (from a severe pneumonia) as I started reading the book. So, coming back from the brink of death was something very much on my mind. 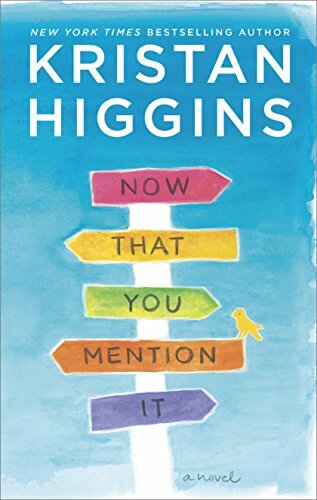 I laughed a lot (as I always do with Ms. Higgin’s books.) I cried even more as Nora went on her own road of discovery by searching into her past. Her relationships with mother, her sister, her niece, her father and others in her current life and in her past were explored and held up to the test of her life in the present. To say I enjoyed this book is not enough. It made an impact on my life in a positive way. I’ve been changed by reading it. For a novel to have that kind of effect on me is unusual and is a bar that very few books have risen to. I recommend it highly. 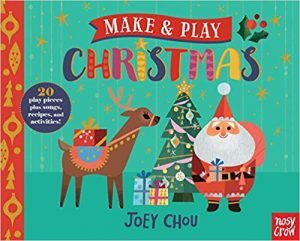 This is a cute and fun and jolly Christmas book of ornaments to have for the holidays. While it is intended for toddlers and young children (my grandkids are 2 and 4 years old respectively), it is also a fun way to add a little jolly Christmas ornaments to display regardless of your age. The ornaments include: angel, star, Santa, several snowflakes, reindeer, snowman, several ornaments (including a bell shape), a Christmas tree and two hearts, gingerbread girl and boy, and two candy canes. There are also pages of Christmas activities and songs to enjoy throughout the season. I bought this book thinking that the items would be able to stand on their own but they are really ornaments as only the tree, the reindeer and a star can really stand. All of the items have hole punches at the appropriate spot, so you can add string or thin ribbon to hang them. I don’t have a tree this year (I’m recovering from a severe pneumonia with 24/7 oxygen while I recover so a dusty real or artificial tree is a big no-no for me.) I thought I could display this set with the grandkids helping put them together. The tree does stand and will sit on my foyer table with the reindeer and star with a few other Christmas items – so it is my Christmas tree this year! By next year, I will be able to use the rest of the ornaments as intended. The Mythological creatures in this book have a look of strength and, in more than one instance, an almost sinister expression on their face. I noticed this with the leprechaun as well as others. 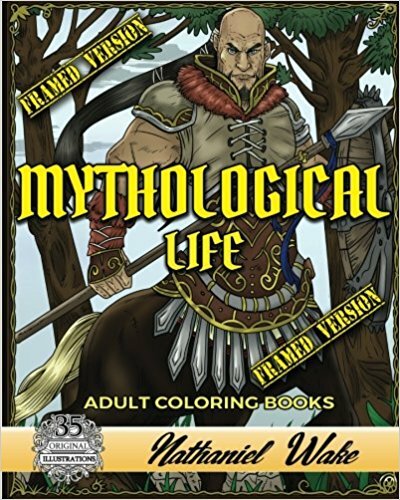 It gives the creatures in this book a really differ vibe than those in other coloring books that I own. The artist responsible for the designs is very skilled and is able to convey the emotions and attitude of the creatures well. This is the version of the coloring book which has framed at the outer edges of the designs. I believe there is another version which has unfinished edges and no frame. Be sure to choose the style that you prefer. For me, that is the version with frames. There are many different creatures included in the book, including: dragons, mermaids, pegasus, unicorns and many more. Some of the images are a little more evil in attitude than others, so you may want to watch the video I post in its entirety to see if this is the coloring book for you. Once again, Nathaniel Wake (the small publisher who brings us these books) has come up with a subject and book that appeals to both men and women. The designs are detailed and several have areas which have a little more intricate/smaller areas to color. 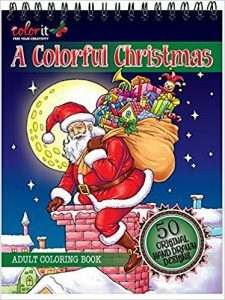 Overall, I don’t think I will need special coloring medium and I don’t consider the designs to be especially difficult or intricate to color. That being said, they are detailed with full backgrounds and will provides hours of fun in coloring. Reading this book was both an enjoyment of the writing style and a real desire to talk some sense into the main character. It was almost painful to read as Jane (the main character of the story) careened from bad decision to bad decision without reflecting on the reality of her life goals. Jane has decided that it is time to begin dating again after having broken up (one year ago to the day) with her long-term relationship with her high-school sweetheart. Having been involved with Bob for nine years (since she was 16), now at 26, Jane isn’t too sure of how she will find “the one” that she feels will be out there waiting for her beck and call. Her focus is narrowed onto this and all other individuals and goals in her life are set aside as she is sure she will end up with her partner within months if not weeks. 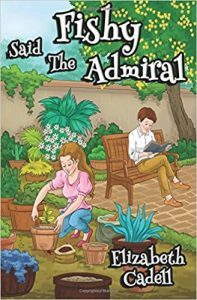 I discovered Elizabeth Cadell’s books as a teenager years ago. I loved her gentle slice of life stories and quickly read every book our small library had in stock. As an adult, I found that Ms. Cadell’s books were out-of-print and very difficult to find. I obtained the ones that I could but others, such as this book, remained too far out of reach for me to buy. 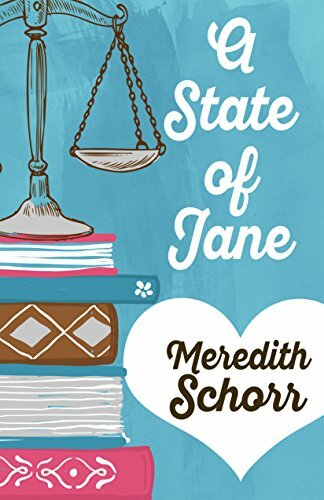 I was thrilled to find this title available on Kindle and purchased it and waited for the right time to read it (when I could enjoy the author’s delicate humor.) The story is right in line with the rest of her books. A lovely slice of life of a family and events that one is allowed to peek into. I usually do not read Fantasy as a genre. I was enticed to this book, in full disclosure, as a family member is one of the authors whose work is featured in this book. I read all sixteen works and was surprised at the breadth that Fantasy encompasses. From the “The Killing Fields” by Sarah KL Wilson where an Empress with a real attitude holds much power to the “The Eresutna” by Nicholas Kotar where monks and would be monks confront a creature intent on punishing those who break vows to the “Forces of Magic: TheTesting Book 0.5” by Shawn Robert Smith in which coming of age young men and women discover if they have magical gifts, even those magical gifts which are neither desirable nor welcome to “Flight of Flame” by Cameron Wayne Smith in which two sworn enemies find a way, albeit through dire straits, in which they can co-exist. 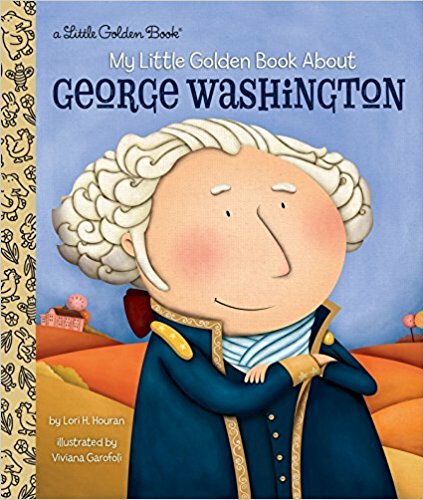 I was happy to find that Little Golden Book had introductory books about both George Washington and Abraham Lincoln. I picked these up for my grandchildren to read when they are at my house. While my granddaughter is too young (at 2) to sit through the entire reading, my grandson (who is 4) enjoyed hearing the story. Both children liked the illustrations. There are also some interesting facts listed in the back of the book. All together, I find it a great introductory book about the first President of the United States.